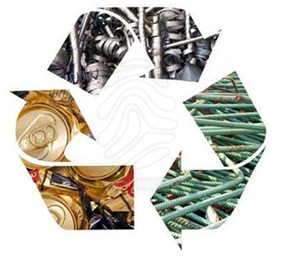 What are the Advantages of Scrap Metal Recycling? Recycling helps an economy to become efficient. It also encourages an economy to use natural resources sparingly. Scrap-recycling yards can be compared to mines above land that are filled with rich resources. Scrap metals are not trash items. They are a source of limited natural resources as they can be re-melted and re-manufactured to produce new items of great value at affordable prices. Besides, scrap metal is a resource that will never become extinct. Let’s now understand the benefits of scrap metal recycling, one by one. Scrap metal recycling preserves natural resources by cutting down on emission of greenhouse gases. Hence, scrap metal is largely used to produce new metal instead of manufacturing metal from virgin ore which generates greenhouse gas emissions in large quantities. These emissions are harmful and can cause the residents to experience potential respiratory health problems. Recycling scrap metals creates more job opportunities and economic prosperity rather than sending the scrap metals to the incinerator or landfill. According to the National Recycling Coalition, recycling industry generates billions of dollars annually and employs millions of workers globally. Scrap Metal recycling also contributes in reducing the ill effects of global warming. Hence, it is important to be kind to the environment by Recycling Scrap Metals rather than making things worse by dumping it into the landfills or just throwing it away. Metal recycling also give an opportunity to the citizens to earn good money, thus benefiting the whole of society.